Congenital amputation is the absence of a fetal limb or fetal part at birth. This condition may be the result of the constriction of fibrous bands within the membrane that surrounds the developing fetus (amniotic band syndrome) or the exposure to substances known to cause birth defects (teratogenic agents). Other factors, including genetics, may also play a role. An estimated one in 2000 babies are born with all or part of a limb missing, ranging from a missing part of a finger to the absence of both arms and both legs. 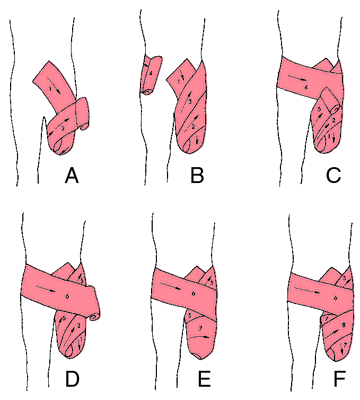 Congenital amputation is the least common reason for amputation. However, there are occasional periods in history where the number of congenital amputations increased. For example, the thalidomide tragedy of the early 1960s occurred after pregnant mothers in western Europe were given a tranquilizer containing the drug. The result was a drastic increase in the number of babies born with deformed limbs. In this example, the birth defect usually presented itself as very small, deformed versions of normal limbs. More recently, birth defects as a result of radiation exposure near the site of the Chernobyl disaster in Russia have left numerous children with malformed or absent limbs. The exact cause of congenital amputations is unknown. However, according to the March of Dimes, most birth defects have one or more genetic factors and one or more environmental factors. It is also known that most birth defects occur in the first three months of pregnancy, when the organs of the fetus are forming. Within these crucial first weeks, frequently prior to when a woman is aware of the pregnancy, the developing fetus is most susceptible to substances that can cause birth defects (teratogens). Exposure to teratogens can cause congenital amputation. In other cases, tight amniotic bands may constrict the developing fetus, preventing a limb from forming properly if at all. It is estimated that this amniotic band syndrome occurs in between one in 12,000 and one in 15,000 live births. An infant with congenital amputation may be missing an entire limb or just a portion of a limb. Congenital amputation resulting in the complete absence of a limb beyond a certain point (and leaving a stump) is called transverse deficiency or amelia. Longitudinal deficiencies occur when a specific part of a limb is missing; for example, when the fibula bone in the lower leg is missing, but the rest of the leg is intact. Phocomelia is the condition in which only a mid-portion of a limb is missing, as when the hands or feet are attached directly to the trunk. Many cases of congenital amputation are not diagnosed until the baby is born. Ultrasound examinations may reveal the absence of a limb in some developing fetuses, but routine ultrasounds may not pick up signs of more subtle defects. However, if a doctor suspects that the fetus is at risk for developing a limb deficiency (for example, if the mother has been exposed to radiation), a more detailed ultrasound examination may be performed. Successful treatment of a child with congenital amputation involves an entire medical team, including a pediatrician, an orthopedist, a psychiatrist or psychologist, a prosthetist (an expert in making prosthetics, or artificial limbs), a social worker, and occupational and physical therapists. The accepted method of treatment is to fit the child early with a functional prosthesis because this leads to normal development and less wasting away (atrophy) of the muscles of the limbs present. However, some parents and physicians believe that the child should be allowed to learn to play and perform tasks without a prosthesis, if possible. When the child is older, he or she can be involved in the decision of whether or not to be fitted for a prosthesis. In the case of congenital amputation of the fingers, plastic surgery can sometimes be used to reconstruct the missing digits by transferring parts of the great and second toes to the hand. Some defects in the leg bones can be treated by removing the malformed bone, grafting bone from other parts of the child's body, and inserting a metal rod to strengthen the limb; this technique, however, is controversial as of the early 2000s. Recently, there have been cases in which physicians have detected amniotic band constriction interfering with limb development fairly early in its course. In 1997, doctors at the Florida Institute for Fetal Diagnosis and Therapy reported two cases in which minimally invasive surgery freed constricting amniotic bands and preserved the affected limbs. Prevention of birth defects begins with building the well-being of the mother before pregnancy. Prenatal care should be strong and educational so that the mother understands both her genetic risks and her environmental risks. Several disciplines in alternative therapy also recommend various supplements and vitamins that may reduce the chances of birth defects. If a surgical procedure is planned, naturopathic and homeopathic pre- and post-surgical therapies can speed recovery. A congenital limb deficiency has a profound effect on the life of the child and parents. However, occupational therapy can help the child learn to accomplish many tasks. In addition, some experts believe that early fitting of a prosthesis will enhance acceptance of the prosthesis by the child and parents. Studies have suggested that a multivitamin including folic acid may reduce birth defects, including congenital abnormalities. Smoking, drinking alcohol, and eating a poor diet while pregnant may increase the risk of congenital abnormalities. Daily, heavy exposure to chemicals may be dangerous while pregnant. Amniotic band — An abnormal condition of fetal development in which fibrous bands of tissue develop out of the amniotic sac. The bands encircle and constrict parts of the baby's body, interfering with normal development and sometimes causing congenital amputation. Prosthesis — An artificial replacement for a missing part of the body. Teratogen — Any substance, agent, or process that interferes with normal prenatal development, causing the formation of one or more developmental abnormalities of the fetus. Beers, Mark H., MD, and Robert Berkow, MD, editors. "Musculoskeletal Abnormalities." Section 19, Chapter 261 In The Merck Manual of Diagnosis and Therapy. Whitehouse Station, NJ: Merck Research Laboratories, 2004. Dobbs, M. B., M. M. Rich, J. E. Gordon, et al. "Use of an Intramedullary Rod for Treatment of Congenital Pseudarthrosis of the Tibia. A Long-Term Follow-Up Study." Journal of Bone and Joint Surgery, American Volume 86-A (June 2004): 1186-1197. Garcia Julve G., and G. Martinez Villen. "The Multiple Monoblock Toe-to-Hand Transfer in Digital Reconstruction. A Report of Ten Cases." Journal of Hand Surgery 29 (June 2004): 222-229.
International Child Amputee Network. 〈http://www.ampinfo.net/childamp.htm〉. National Organization for Rare Disorders (NORD). 55 Kenosia Avenue, P. O. Box 1968, Danbury, CT 06813-1968. (203) 744-0100 or (800) 999-6673. Fax: (203) 798-2291. http://www.rarediseases.org. amputation produced in utero; attributed to the pressure of constricting amniotic bands. the absence of a fetal limb or part at birth. The condition previously was attributed to amputation by constricting bands in utero but now is regarded as a developmental defect. Amputation, usually a limb or part of a limb, produced in utero; usually attributed to the pressure of constricting amnionic bands. Synonym(s): amnionic amputation, birth amputation, intrauterine amputation, spontaneous amputation (1) .